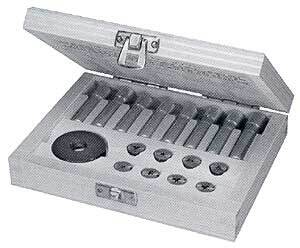 Set contains 1 starting tap (B1), 1 shaping tap (B2), and 1 finishing tap (B0). 1.00 mm diameter. Set contains 1 starting tap (B1), 1 shaping tap (B2), and 1 finishing tap (B0). 1.20 mm diameter. Set contains 1 starting tap (B1), 1 shaping tap (B2), and 1 finishing tap (B0). 1.40 mm diameter. Set contains 1 starting tap (B1), 1 shaping tap (B2), and 1 finishing tap (B0). 1.70 mm diameter. Start hole by using a High Speed Twist Drill #55, 1.32 mm to make your hole and use this tap to make the thread diameter of 1.70 mm. Shown with a Bergeon watchmakers die in place. Die not included. Outside � 25 mm. Inside � 8 mm. With 1 chuck. Opening: 1.8 - 3 mm. Length: 65 mm. Bergeon did a long study on the topic of watchmakers dies and decided to offer a higher quality die than the older version and from now on will only be offering this higher quality die, which does sell for a higher price as well. 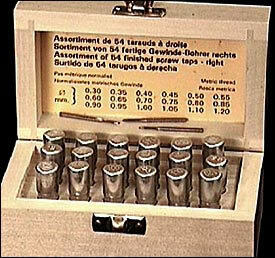 While our stock is still available we will have some of the older dies still available. 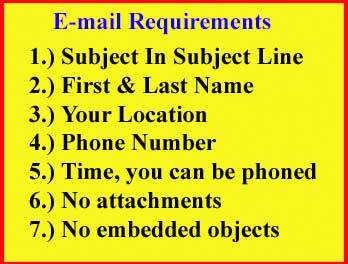 Click order below here and you will be sent the newer die of higher quality. Three High Speed Steel taps each in 18 sizes from 0.30 mm to 1.20 mm, in 0.50 mm increments, 54 taps in all. Have no idea what is going on, however it appears Bergeon cannot get anyone in Switzerland to make taps and dies for them. 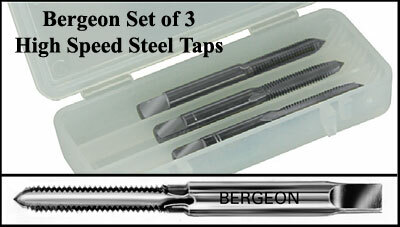 Bergeon #2776-A watchmakers taps and dies kit is no longer available, due to certain sizes being no longer made. Please order the individual sizes that are still listed available separately on this page. As of Dec. 2, 2010 Bergeon Informed us this Item is No longer Available. Works on taps from 0.30 mm to 1.20 mm. Discontinued In tool steel. Another item no longer made in Switzerland.